Some 34 military servicemen and women from around the region were honored at Jefferson Health in Voorhees. Private First Class Army veteran Anthony Langella of Cherry Hill was honored along with 33 other veterans from across Camden County at the 16th annual Veterans Medal Presentation at Jefferson Health in Voorhees. From the Korean War to Iraq, 34 veterans from across the county were honored for their selfless service at the 16th annual Camden County Veterans Medal Award Ceremony, which was hosted by Jefferson Health in Voorhees on Wednesday, Nov. 8. 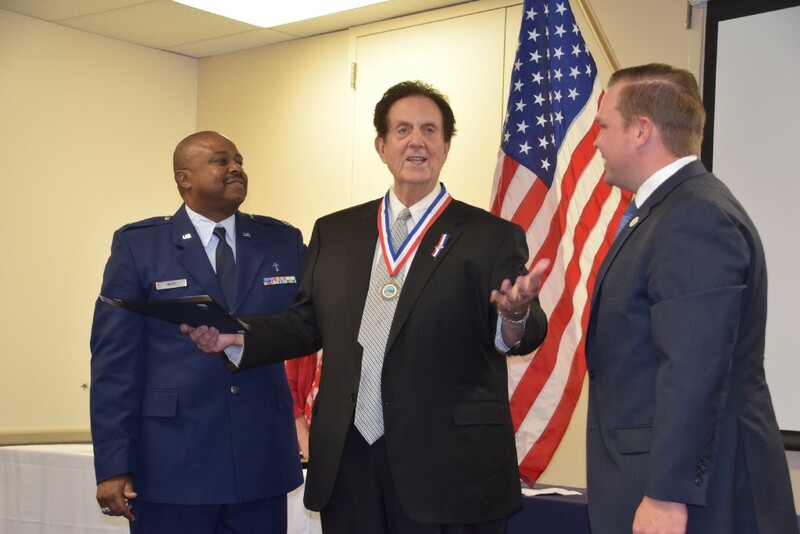 Emceed by Col. Nelson Mellitz, a veteran of the U.S. Air Force and member of the Jewish War Veterans, 15 Army veterans, seven Navy veterans, five Air Force veterans, five Marine Corps veterans and two Coast Guard veterans were recognized. The presentation opened with the Pledge of Allegiance led by Commander Al Adler of the JWV, followed by a rendition of the National Anthem by vocalist Maria Disciullo. “Our brave men and women are a tremendous source of pride for the county and we honor them for their valor, undying patriotism and their service and dedication to this country,” said Freeholder William F. Moen, Jr., liaison to the Office of Veteran Affairs. Along with Moen, the medals were presented by the Rev. Floyd L. White III., who is the director of Camden County’s Veteran Affairs, Lt. Col. AL Bancroft, veteran of the U.S. Marine Corps, and Adam Klein, outreach coordinator of Camden County’s Veterans Affairs. The event encompassed representatives from the Jewish War Veterans of the USA, Post 126 in Cherry Hill, Samaritan Healthcare & Hospice and Samost Jewish Family and Children’s Services. Local honorees included Army veterans John D. Coffey, William L. Warner and Howard Secrest of Berlin, and Coast Guard veterans Richard H. Guy and Blake T. Hartman and Marine Corps veteran William A. Speirs of Sicklerville. Voorhees residents honored were Army veterans Carroll E. Gerkey, Lyanne Griffin and Robert R. Rueppel, Air Force veterans Anthony Innamorato and John Dusek, and Navy veteran Wilfredo M. Caberto. Cherry Hill honorees included Army veterans Linda Martin and Anthony Langella, Navy veteran Victor Meyer, Jr., Marine Corps veteran Christian F. Tumolo, Navy and Airman veteran Robert E. Cassel, and Navy veteran Francis J. McGovern. 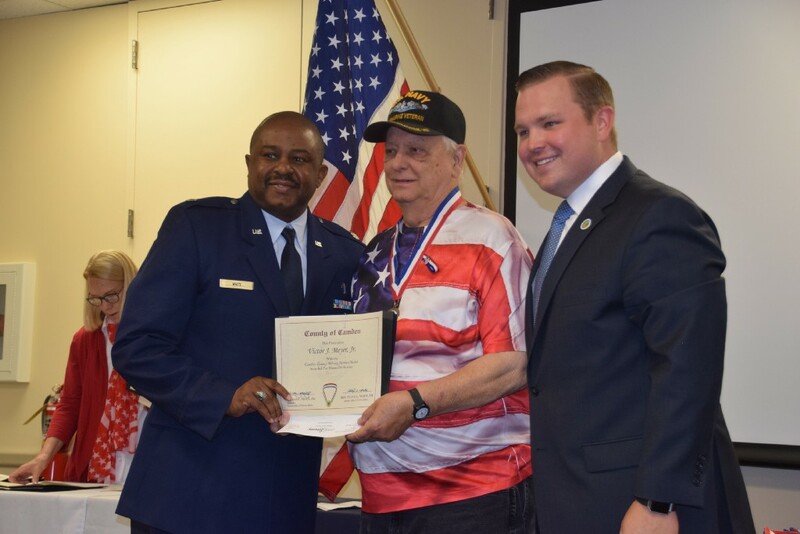 Navy Veteran Victor J. Meyer, Jr. of Cherry Hill was honored along with 33 other veterans from across Camden County at the 16th annual Veterans Medal Presentation at Jefferson Health in Voorhees. A special recognition award was given to Jefferson Health New Jersey Employee Health associate Trudy Corma, the mother of fallen U.S. Army war hero Salvatore S. Corma II. In April 2010, First Lt. Corma died in battle while trying to contain an improvised explosive device in Afghanistan. The 24-year-old platoon leader attempted to isolate the explosion while warning fellow soldiers of the threat. Corma, who graduated from West Point in 2008, is credited with saving as many as 19 soldiers’ lives. He received a Purple Heart posthumously.